At the Ashmolean museum this week, looking through a collection of largely surface pottery from the Maldives. This collection was made in 1974 in Malé by J Carswell, who was working on Chinese porcelain from Syria and who, through the literature on trade routes and a conversation with a Maldivian student in Beirut, resolved to investigate the role of the Maldives’ role in the trade of Chinese ceramics. He donated his archives to the Ashmolean where they can now be visited; an annotated photo ledger shows who has been on the trail of this material before us. From the Chinese side, there were greenwares and various blue on white ceramics, made in China in the thirteenth century. The relevance to Africa, you might ask? Similar Chinese wares occur on the East African coast and up the Red Sea; based on his analysis, Carswell suggested that the Maldives archipelago might be one of the entrepôts for East Africa. Chinese pottery was among the goods which were entering the medieval Maldives, at that time already famous as a producer of cowrie shells, which served as currency and adornment. We also saw a set of pottery that was coarser, possible handmade. The fabric was coarser, and there was no glaze. Shapes were often sharply carinated, and there were some distinctive overhanging rims. 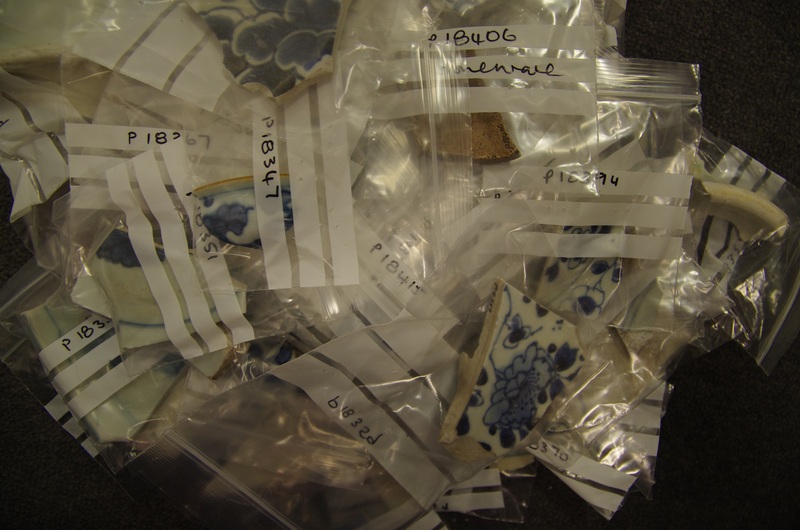 Carswell notes that some of this resembles material which he excavated in northwest Sri Lanka (the Maldivians had no local source of clay, so all their pottery was imported). 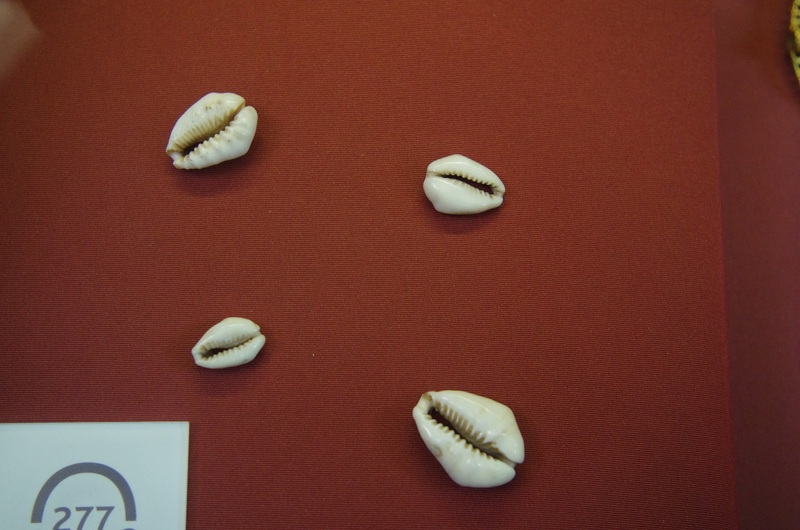 This visit took part in the context of my ongoing project on cowrie shells. 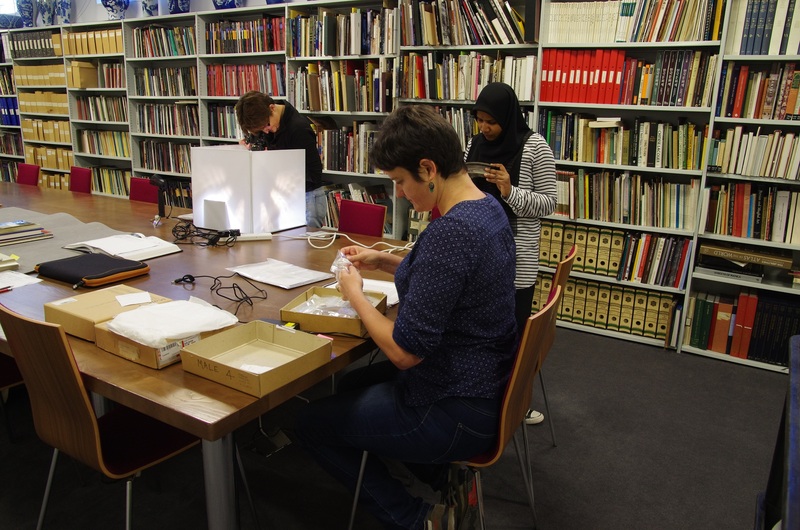 The group consisted of Shiura J, who is doing her PhD with us on the medieval archaeology of the Maldives, Annalisa C, who has just joined the project team as postdoctoral researcher, and I. 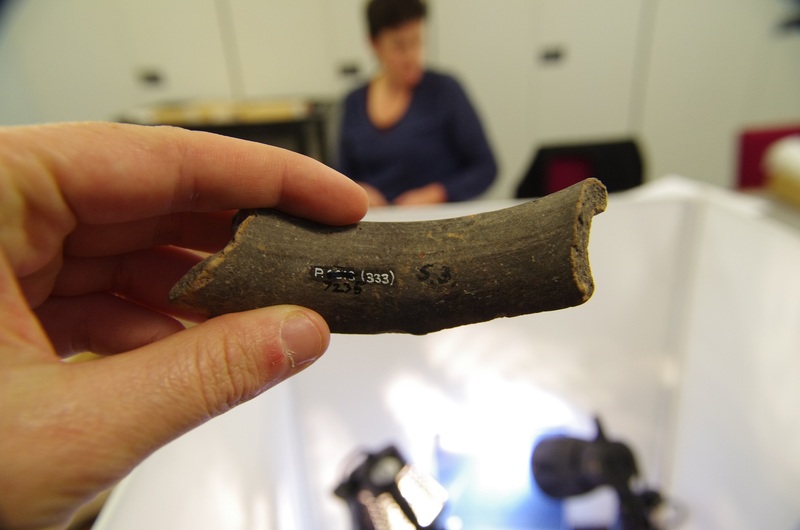 On a related note, thank you to those who have requested a return of the ‘Potsherd of the Day’ feature. It’s true, it’s been a while – but we have been powering through that material from Benin and should soon have some quite impressive numbers to crunch. 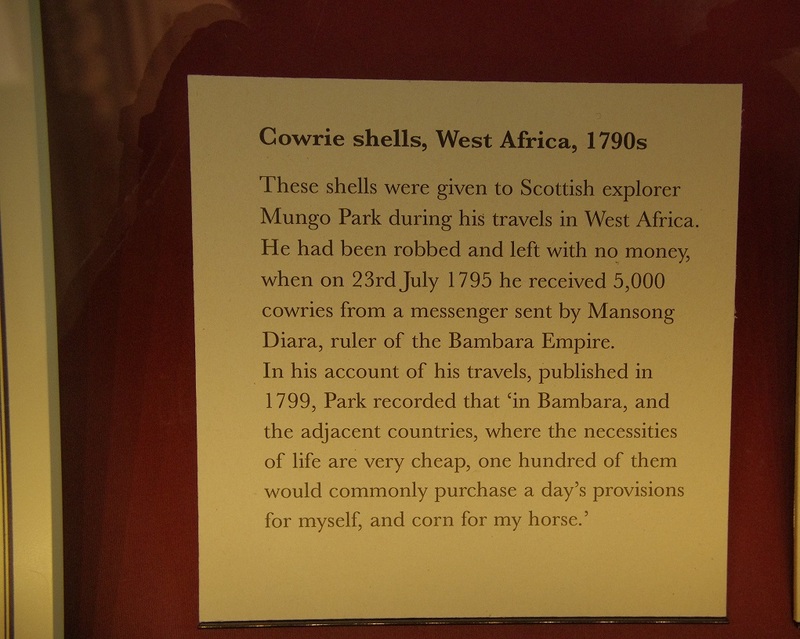 At the British Museum today to see – in the Enlightenment Gallery – some cowries given to Mungo Park by the King of Bambara on 23 July 1796. Mungo Park was the first known European to travel to the central part of the Niger River, reaching it at Ségou (today in Mali). When he returned home to Scotland he was greeted with great enthusiasm as people had thought him dead. “The Kanji National Park also contains the Kainji Dam, an artificial lake which covers the town of Old Bussa. Here Mungo Park, the explorer, was said to have come to grief in 1805. Now the lake hides the scene of the accident. The lake is 136 km long and tours of the dam are available on request from the Nigeria Electric Power Authority. Boat trips on the lake can be arranged by the Borgu Game Reserve office at Wawa. To reduce the expense, it is better for several visitors to share the cost. Fishing is allowed on the lake”. It sounds like quite a lovely place. Incidentally, the lake also covers some archaeological sites very relevant to our findings in Dendi. They include large mounds where excavations recovered grinding stones, stone beads and bracelets, iron points, hoes, jewellery, fish hooks, slag, glass crucible fragments, terracotta figurines and clay smoking pipes, as well as tens of thousands of pottery sherds and architectural structures such as granary foundations, collapsed house walls, potsherd pavements and other floors, mysterious burnt clay ditches, and burials with associated beads and jewellery. I came across publications on these sites when researching my 2007 book, and little did I know I would later be working at kind of similar sites just upriver from these.